Tajikistan is a poor, mountainous country with an economy dominated by minerals extraction, metals processing, agriculture, and reliance on remittances from citizens working abroad. The 1992-97 civil war severely damaged an already weak economic infrastructure and caused a sharp decline in industrial and agricultural production, and today, Tajikistan has one of the lowest per capita GDPs among the 15 former Soviet republics. Less than 7% of the land area is arable and cotton is the most important crop. Tajikistan imports approximately 60% of its food. According to CIA Factbook,mineral resources include silver, gold, uranium, and tungsten. Industry consists mainly of small obsolete factories in food processing and light industry, substantial hydropower facilities, and a large aluminum plant – currently operating well below its capacity. Because of a lack of employment opportunities in Tajikistan, more than one million Tajik citizens work abroad – roughly 90% in Russia – supporting families back home through remittances that have been equivalent to nearly 50% of GDP. Some experts estimate the value of narcotics transiting Tajikistan is equivalent to 30-50% of GDP. 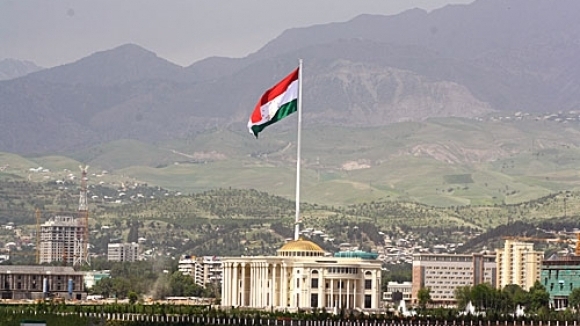 Since the end of the Tajikistani Civil War in 1997, the country has pursued half-hearted reforms and privatizations, but the poor business climate remains a hurdle to attracting investment. Tajikistan has sought to develop its substantial hydroelectricity potential through partnership with Russian and Iranian investors, and is pursuing completion of the Roghun dam – which, if built according to plan, would be the tallest dam in the world. However, the project will take at least 8 to 11 years to construct, and faces financing shortfalls and opposition from downstream Uzbekistan. Recent slowdowns in the Russian and Chinese economies, low commodity prices, and currency fluctuations are hampering economic growth in Tajikistan. By some estimates, the dollar value of remittances from Russia to Tajikistan dropped by more than 40% in 2014. The government faces challenges financing the public debt, which is equivalent to 35% of GDP, and the National Bank of Tajikistan has aggressively spent down reserves to bolster the weakening somoni, leaving little space for fiscal or monetary measures to counter any additional economic shocks. According to data of Human Rights Watch Organisation,Tajikistan’s already poor rights record dramatically worsened in 2015, as authorities declared the country’s leading opposition party a terrorist organization and banned it, imprisoned approximately 200 opposition activists, extradited and kidnapped government critics abroad, arrested several lawyers and at least one journalist, and harassed workers at nongovernmental organizations (NGOs) with onerous checks. In April, officers of Tajikistan’s Drug Control Agency detained 25-year-old Shamsiddin Zaydulloev. Visiting him the following day in custody, his mother told a local NGO: “When I petted his head, he said I shouldn’t touch the back of [it] because it was swollen and painful. I asked him in a low voice whether he was beaten and he nodded.” For the next three days, authorities prevented her from seeing him under various pretexts. According to Human Rights Watch Organisation, on April 13, the family learned Zaydulloev was dead. His parents told their lawyer that when they saw his body in the morgue, it was covered in bruises. An initial autopsy by authorities stated the cause of death was pneumonia. The family’s lawyer has petitioned for a new autopsy and investigation into torture allegations.